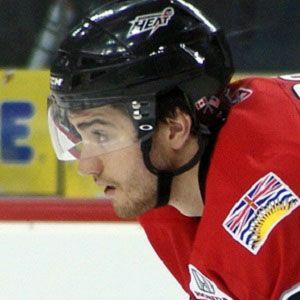 Defender who made his NHL debut with the Calgary Flames during the 2010-11 season and cemented his place as one of the team's top defenders by 2013. He began his professional career with the OHL's Saginaw Spirit in 2006. He was a member of the fifth place Canadian Team at the 2013 World Championships. He was born in Chatham, Ontario, Canada and grew up on a family farm. He became frequent linemates with fellow defender Mark Giordano on the Flames.